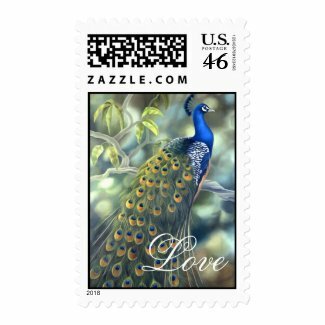 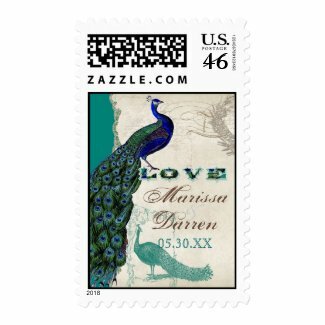 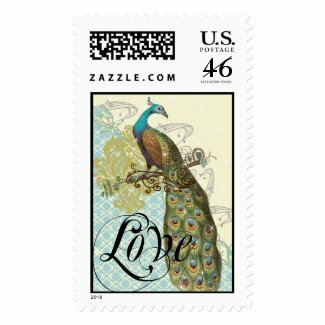 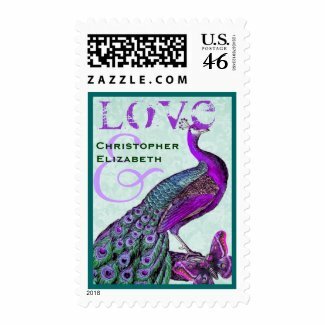 Take a look at this beautiful collection of peacock themed LOVE postage stamps. 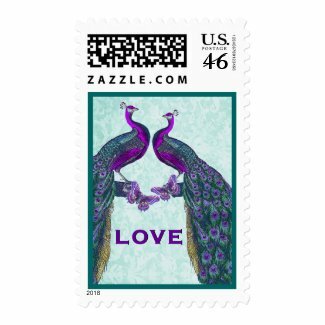 They are perfect for weddings and other special occasions There are many different designs and a few of them can even be personalized for weddings. For a unique collection of custom invites take a look at Beautiful Peacock Themed Wedding Invitations.